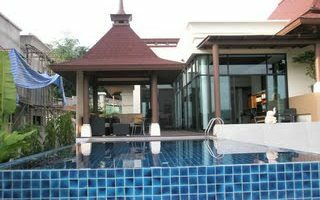 We are pleased to be able to offer this truly beautiful villa for sale in Soi Hua Hin 88. Beautifully designed this luxury 3 bed pool villa is built on a large land plot. This fantastic property is located in a complete estate within 7 minutes of the centre of Hua Hin, soi 58. Beautifully designed this luxury 4 bed pool villa is built on a large land plot. Three bedrooms (one en-suite). *One bedroom currently used as an office. Beautiful large & light master bathroom with great surrounding views. The project is located very close to The Palmhills Golf Course where it takes approx. 10 mins to Huahin town. Beautifully designed this super modern luxury 3 bed pool villa is built on a large land plot. This beautiful Bali style house is set on a good plot, with beautiful gardens and amazing swimming pool . This stunning property, located in a private development is a must see for people looking for luxury living and who enjoy spacious surroundings. A warm welcome to luxurious living, Cha Am -Hua Hin Thailand in this bedroom beachfront villa. This spacious home offers breathtaking surroundings and relaxing atmosphere. This development is created by one of the most successful Thai developers of Phuket island. Holiday resort-style private, high-walled swimming pool villas for sale at now reduced price of 4.95mTHB.